If you are looking to catch great fish and lots of them, now is the time. 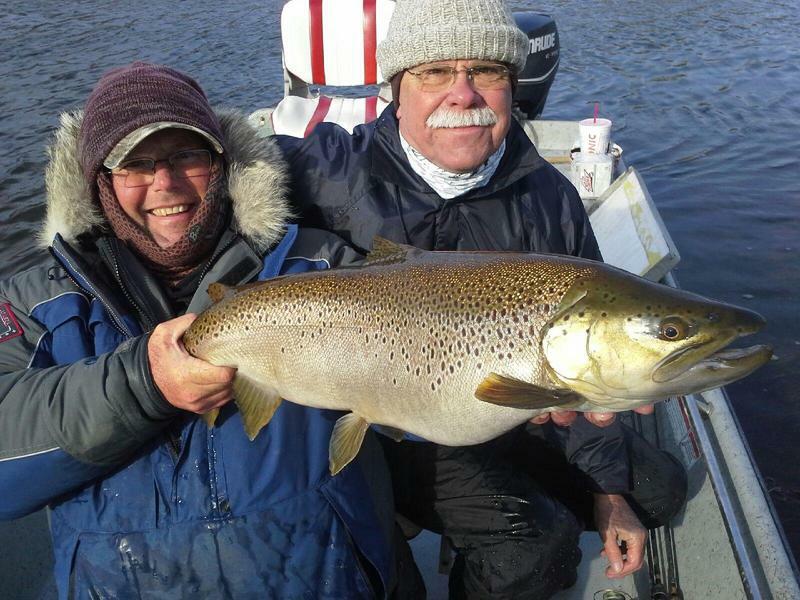 The White and Norfork rivers in North Central Arkansas are in great shape to produce some great brown trout action. The winter patterns have started. The lower sections of the White river is a little ahead of the upper section. The browns are still on the reds on the upper stretches of the White. I'm staying below Cotter on most days. I look for the upper end to pick up in the next couple weeks. I have noticed the browns below Cotter are hanging in the first deep pockets on the edge of the gravel that they have been spawning on. This wont last long. They will scatter back into their normal hiding places shortly. The bait of choice is the minnow. No big surprise to anyone that kows me. I'm drifting the minnows on the edge of the gravel and rock just downstream of the spawning areas. These fish have moved off the reds but they haven't gone far and their ready to eat. The dead minnow drifting by makes for an easy lunch. If your interested in fishing artificial baits. You couldn't pick a better time. The water flow on the White River is fairly low on most days. There is an occasional rise on the colder days. On the lower water try smaller minnow baits and anything that will flash. When the water rises you will need a bigger bait. I have been catching several good browns on a Smithwick Suspending Rattlin Rogue in the Avocado shad color. If you like to jig fish try a 1/6 oz. white river zig jig on the lower flows. You will need 4# or smaller line to fish the light jig. Try an 1/8 oz. when the water rises. If your looking to catch browns stay with white and dont even consider another color until spring. Thats about all I have for now. Go give these patters a try and have some fun.